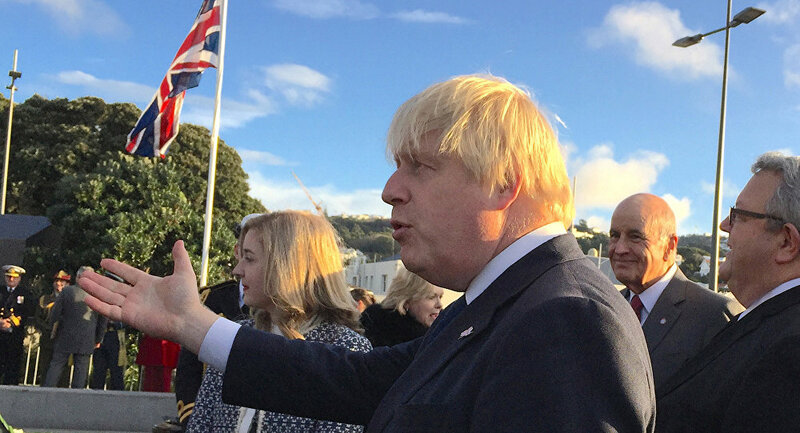 MOSCOW (Sputnik) — UK Foreign Secretary Boris Johnson on Tuesday refuted media reports claiming that he would resign from over disagreements with Prime Minister Theresa May amid the United Kingdom's withdrawal from the European Union. Asked if he could resign, the UK foreign minister replied "no," according to the broadcaster. On Friday, Johnson published an article outlining his vision for Brexit, which was seen by some as an attempt to undermine May's authority. On Monday, Johnson, however, dismissed these claims as well, saying May was the drive of London's Brexit policy. Earlier in the day, The Daily Telegraph newspaper reported that Johnson would resign if May was to pursue a post-Brexit relationship with the European Union similar to what the bloc has with Switzerland. According to the newspaper, Johnson told his friends he "could not live with" May advocating paying for access to the European Single Market. The Brexit negotiations officially started in June, and are due to be completed by late March 2019. During the talks, London and Brussels are set to discuss a number of issues, including, among others, EU citizens' rights, the financial settlement and the border between the Republic of Ireland and Northern Ireland. The fourth round of talks is set to start next Monday, according to a Downing Street spokesperson.